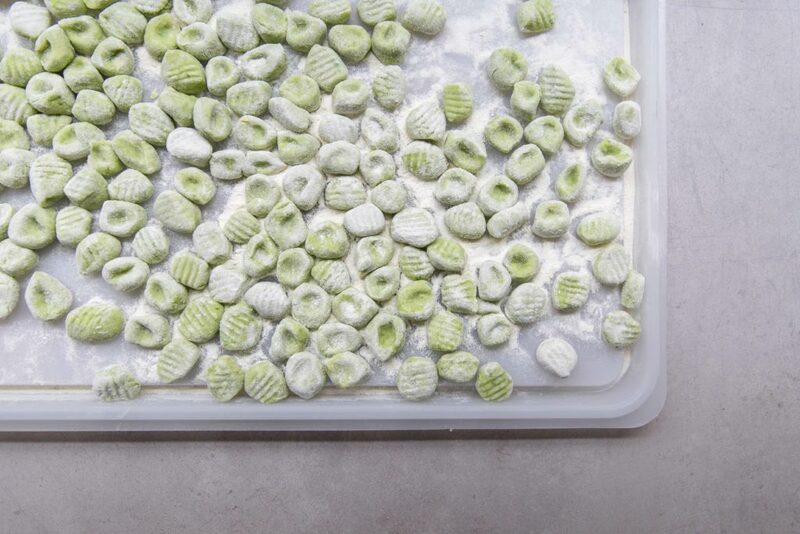 We’re celebrating Spring’s arrival with the addition of these delicate pillows of pea gnocchi to the Bancone menu. 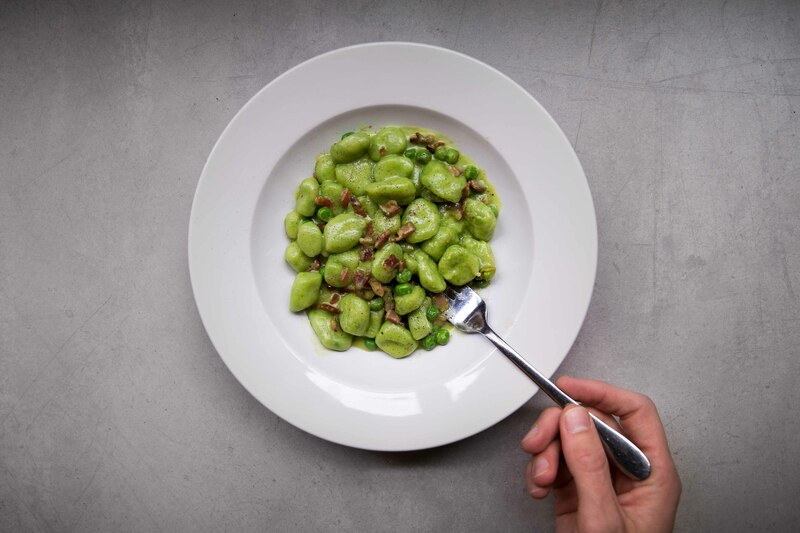 A different take on our original recipe, the pancetta perfectly cuts through the sweetness of the pea making it simply delicious. Try the recipe for yourself at home and brighten up your next dinner party (and Insta feed). If pea isn’t taking your fancy, why not try spinach, beetroot, sweet potato or stick to a traditional recipe like ours here. Let us know what gnocchi flavour you opt for by tagging us on social @bancone.pasta – the options really are endless! Put potatoes (skin on) in a pan of cold water with 5g salt and bring slowly to the boil. Turn down to a simmer and leave for 45-60 mins until very soft. Take care to not let the skins break as the potato will absorb water and be very hard to work with. In a separate pan of boiling water add 5g salt and cook your peas for 2 mins and set aside. Remove the first potato and remove skin while piping hot (hold with oven cloth) and push the potato through a sieve with the back of a spoon. Repeat with each potato. Now push the peas through the sieve in the same way reserving a handful of whole peas for later. Dust your hands with flour and sprinkle a little flour on the dough and form into a ‘loaf’. Using a sharp knife cut your ‘loaf’ into 8 sections. Use your palms to roll each section into a long thin sausage about the diameter of your thumb. Cut these into 1 inch cubes. Sprinkle with a little flour to stop them sticking and set aside. Bring a pot of water & 5g of salt to a rolling boil. In a frying pan, fry the pancetta in the olive oil. Add the gnocchi and reserved peas to the boiling water for 2 mins and drain reserving a little cooking water. Add gnocchi, peas and butter to the pancetta and a few spoons of cooking water. Swirl your pan over the heat until the butter has emulsified. Taste for seasoning and serve immediately with the grated parmesan.